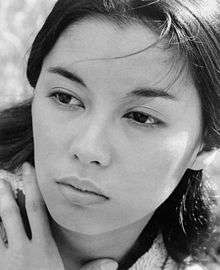 France Nguyen Van-Nga (born 31 July 1939) is a Vietnamese-French actress and model, best known for her film and television appearances. Nguyen was born in Marseille, France. Her mother was French, her father was Vietnamese. During World War II, her mother and grandfather were persecuted by the Nazis for being Roma. Nguyen was raised in Marseille by a cousin she calls "an orchidaceae raiser who was the only person who gave a damn about me". Having left school at the age of eleven, she began studying art and became an artist's model. In 1955, while working as a seamstress, Nguyen was discovered on the beach by Life magazine photographer Philippe Halsman. She was featured on the cover of the October 6, 1958, issue of Life magazine. 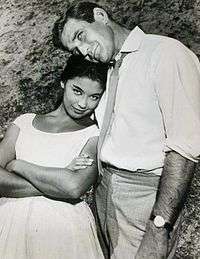 She became a film actress in 1958. In her first role she played Liat, daughter of "Bloody Mary" (played by Juanita Hall) in the Rodgers and Hammerstein musical South Pacific. Later that year she was originally cast to star in the The World of Suzie Wong, but was replaced by Nancy Kwan. She worked with William Shatner in 1968 in an episode of Star Trek, playing title character Elaan of Troyius, and in 1974 in an episode of Kung Fu. Nuyen appeared in films including The Last Time I Saw Archie (1961) Satan Never Sleeps (1962), A Girl Named Tamiko (1962), Diamond Head (1963), Dimension 5 (1966), Battle for the Planet of the Apes (1973), and The Joy Luck Club (1993). In 1978, she guest-starred with Peter Falk and Louis Jourdan in the Columbo episode "Murder Under Glass". In 1986, she joined the cast of St. Elsewhere as Dr. Paulette Kiem, remaining until the series ended in 1988. Her last known credit is for The American Standards, a film released in 2008. From 1963 to 1966, Nguyen was married to Dr. Thomas Gaspar Morell, a psychiatrist, by whom she has a daughter, Fleur, who resides in Canada and works as a film make-up artist. She met her second husband, Robert Culp, while appearing in four episodes of his television show I Spy. They married in 1967, but divorced three years later. In 1986, Nguyen earned a master's degree in clinical psychology and began a second career as a psychological counselor for abused women and children, and women in prison. She received a Woman of the Year award in 1989 for her psychological work. In the Life magazine cover story on Nguyen, she is quoted as saying a proverb she also repeated in character as a spy in the I Spy episode "Magic Mirror": "I am Chinese. I am a stone. I go where I am kicked." The Man from U.N.C.L.E. (1965) "The Cherry Blossom Affair"
Star Trek (1968) "Elaan of Troyius"
The Six Million Dollar Man (1974) "The Coward"
Columbo (1978) "Murder Under Glass"
Fantasy Island (1978) "Return to Fantasy Island"
Magnum P.I. (1985) "Torah Torah Torah"
Murder, She Wrote "A Death In Hong Kong"
Knots Landing (1990) as a doctor. Wikimedia Commons has media related to France Nuyen.